Star Wars: Source Filmmaker Project (title not decided) is a short animated video taking place in the Star Wars universe. In a sense, it is the combination of testing my current skill as an animator (in SFM), a side project before college starts, and a fan-film in every sense of the word. Let me make it clear upfront that there are no paid roles in this production (not even Republic credits), although that could change in future projects. This is the longest project I have ever worked on (and plan on following through) to date. All models, materials, and sets (or maps) used in this production were not created by me, though I may edit some textures and other things That is why I've classified the project as "machinima" since it uses video game assets even though it's not within a video game. There is no guarantee that I will finish this before I want to finish it (which is in 2-3 weeks), and there is a possibility that roles could change and voice actors may be found elsewhere (in other words, not on this website). However, the deadline for vocal auditions is way past the date I want "shooting" to wrap, simply because voices are one of the lower priority things right now. And even if you aren't the voice I'm looking for, don't move along just yet! Scripts change, and as I said, it is possible that if this turns out the way I want it, there will be more projects in the future. If you've survived the maginitude of the background information and weren't repelled, read on! As of this moment, I can tell you that there a few voices I absolutely know I will need! These include the main antagonist (what's a Star Wars anything without a villain? ), and some minor characters. Imperial Transport THX-1138, this is the Star Destroyer Subjucation responding to your distress call as dictated by the Red Zero protocol. Are there Rebels aboard their ship? Overall, I'm looking for a voice that is both calm and relaxed, yet menacing. Sort of that smoothness that an evil Bond villain may have, but with darker intent. Because villains are unique, I'm not looking for a particular accent because not all Imperials have British accents. I'd like a deeper voice, but I'm willing to change my mind. No, Captain, they do not lie of their intent: however, I doubt they will survive the day. I would consider it an honor to be in your presence were it not that I now have to kill you. Knight Taris is part of a secret order that has existed for over a thousand generations (no spoilers). He is confident, optimistic, and a very inspiring individual. As such, his voice must be collected but firm from years of war, with those subtle hints of a born leader. In many ways, he is calm like Shadow Dominant, but his underlying tones are of hope and victory, not menace. Pitch wise I'm not looking for anything in particular, as I'm more concerned with his tone of voice rather than his pitch. Feel free to add your own flavor too! Alright troopers, listen up. After the Imperials discover our trap, they will be on the alert by the time we arrive, so expect a very warm welcome. Excellent. May the Force be with us. Generally, there are those transport pilots in any military organization who have a dark sense of humor due to the tough job they face. 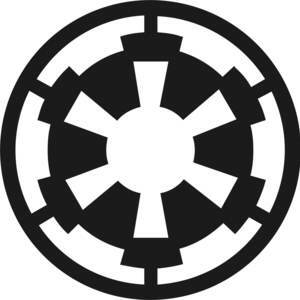 This person is no exception: the main quality I'm looking for here is that ironic upbeat attitude only a Rebel pilot could have that laughs straight into the Emperor's face (male or female), but also conveys the alternatively grave duties of flying into combat. Other than that, approach this role however you wish! (mock courtesy) Thank you for choosing Deathtrap Galactic as your sight-seeing star-line of choice! We will be jumping into the jaws of death very soon, so please find something secure to hold onto. Red light, troopers. 30 seconds until doors open. Hang on back there, we've picked up a tail! Going evasive! Just a grunt in the Rebellion, fighting for freedom. You are encouraged to be creative! Stormtroopers are overrunning our position! It's a trap! Just because the accent says New Zealand doesn't mean it has to be a New Zealand accent. Because Temuerra Morrison (Jango Fett and all the movie clone troopers) is from New Zealand, I find it fitting that this role would share his dialect. However, if you can sound like Dee Bradley Baker from the Clone Wars and Rebels TV Shows or even pull off your own take on the voice, that is completly fine! Just be warned that you'll have multiple roles, of which lengths I do not know at this time. Sorry sir, it reminds me of the old days. Good guys used to wear white. Not anymore. Whatever the voice, this character needs to be authoritative. They need those qualities of a leader that makes them sound like a leader, such as that to-the-point attitude and crisp speech pattern. That's the signal. All wings, prepare to jump to lightspeed on my mark. Mark. 2, 3, cut across their axis! Keep it tight boys! Cut the chatter, 5. All wings, form up on me.